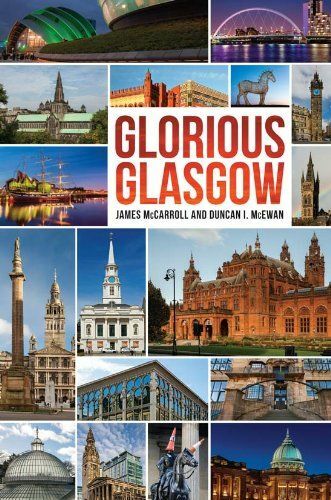 'Glorious Glasgow' brilliantly captures Glasgow's magnificent architecture. This is undoubtedly the most comprehensive book of its type ever published, with more than 650 photographs, all in full colour and each with its own highly informative caption. The book has been printed using thick glossy art paper ensuring the highest quality of reproduction. Every renowned house, church, public building, office, warehouse, bridge, park, monument, statue and carving can be found here. The city centre, with its stunning palazzi, churches and public buildings, is covered in some depth but there are also substantial sections on every part of Glasgow, from the areas around the river Clyde to the west end, the east, the north and the south side. In addition there are four short sections looking at Glasgow's impressive artistic and industrial heritage, each illustrated by wonderful works of art, among them paintings by Salvador Dali, El Greco and Margaret Macdonald/Mackintosh.